"NEWTON ROCKS!" 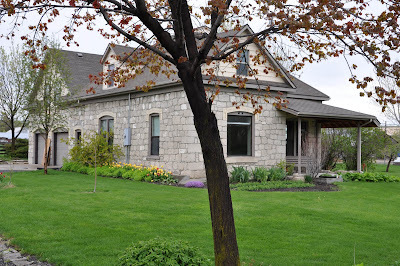 is the slogan for the Newton Utah Historic Rock House Tour. It will be held July 23rd (Utah's Pioneer Day holiday) from 1-4 PM. Six historic houses, several with beautiful gardens and water features, will be open to the public. A tour booklet will include the history of the open houses as well as information about five other historic rock houses in Newton. The booklet will include a map for a self-guided walking or driving tour. 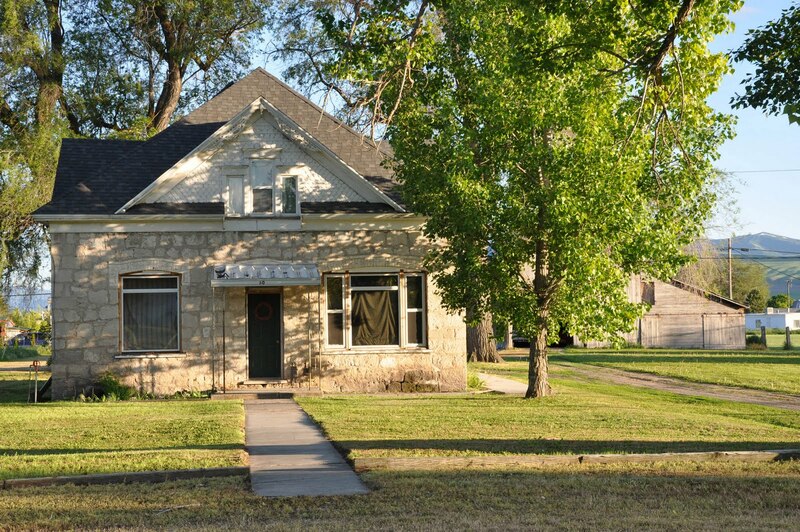 This is a once-in-a-lifetime opportunity to experience northern Utah's history through some of its early buildings and their stories. This also provides an opportunity for owners of historic homes to tap into the restoration experience of others. Tickets are $5 for adults. Children under 12 will be admitted free. The Newton Market will provide free refreshments for all ticket holders. The 30-page booklet about the settlement of the town and the history of the houses will be on sale for $2. Tickets and tour books are available at the Newton Library during regular library hours, the Newton Market in the center of town, Lee's Market Place on S. Main St. in Smithfield, UT, Lee's Market Place at 555 E. 1400 North in Logan, UT, and the Cache Valley Visitor's Bureau. All proceeds from the tour will benefit the Newton Town Library. 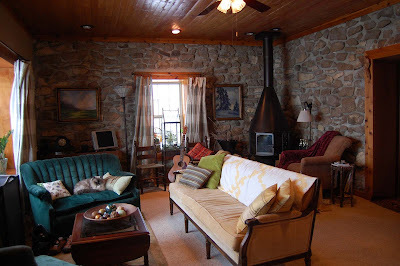 The photos below provide a preview of the houses that will be open for the tour. Built circa 1875 by Jens Peter Benson, this house has a beautiful traditional parlor with a fireplace, interesting landscaping, and a small pond. 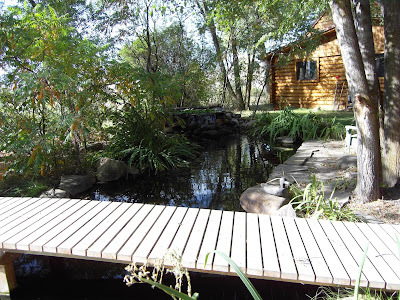 A recently restored primitive cabin will also be open on this property. 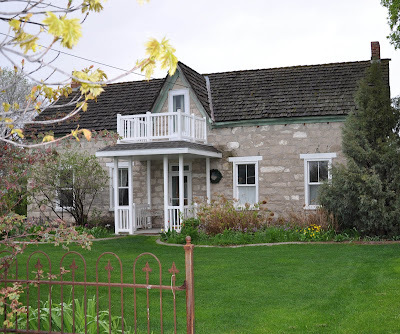 Built circa 1885 by William S. and Amelia Petersen Jensen, this house, like many of the early small rock houses, has an addition that made it more livable for expanding families. The property includes extensive landscaping and gardens that showcase native Utah plants. Built in 1904 by William James and Frances Henry Barker, this house has a large addition, a recently-restored pantry and gardens. 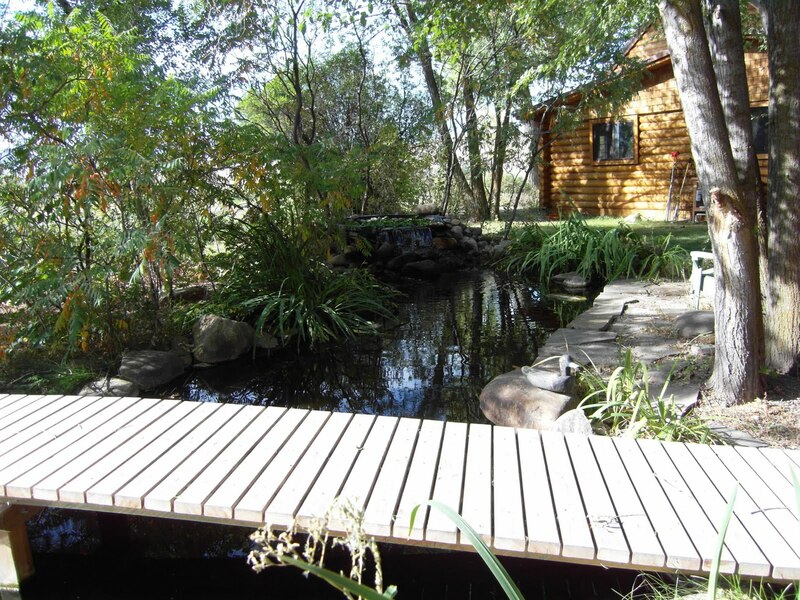 Built in 1876 by Ludwig Erickson, this house includes a recent log addition, a pond and waterfall, a kitchen garden, a fledgling xeriscape garden, and Alice the dwarf Netherland rabbit. Interior view of Ludwig Erickson house, built in 1876. William F. Rigby, the founding bishop of Newton, started building this large house in 1882, but it wasn't finished until 1912. The front room will be open to the public. 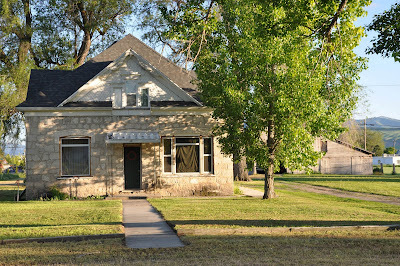 Built in 1906 by David Clarke, this house is a restoration-in-progress. The property includes a large, irrigated vegetable garden, and a barn with its original Jackson Fork. We hope to see you in Newton, a small agricultural community about 8 miles west of Smithfield, Utah, on July 23rd. If you need more information about the tour, please call 435-563-3654.